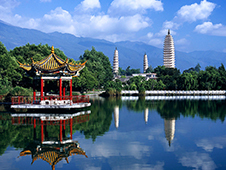 Peoples Republic of China – a powerful, well-developed state, with a population of 1 billion. 347 million. 374 thousand. 752 people. At the same time so many people have to be placed in an area of 9,596,960 km 2. The state capital – Beijing, and in China a lot of significant urban development. Among them, the most developed recognized Tianjin, Guangzhou, Shanghai, Shenyang, Wuhan, Fuzhou, others. The unique structure of the state has a lot of interesting places, sights that are worth seeing. The explanation for this – a centuries-old history, which has turned China into one of the most powerful state organizations on the planet. It deserves the attention of all: monuments of architecture, modern buildings, national parks, wilderness areas with pristine flora, fauna. To a trip to China was the most comfortable, is a pre-hire cars. The easiest way to apply to the site bookingcar.ru. After arrival in the country can get a car in the center of cities, international airports in China: Shanghai, Beijing, Macao and other cities. 2-3 times higher positions - 12 penalty points driving ban. The problem of China's most populous and relevant in the process of parking. Usually when buying a Chinese car required by law to purchase a parking space at the same time. This eliminates the problem of finding a parking space, especially when it comes to the metropolis. The situation becomes complicated when you need to find temporary, permanent place to park the rental car. Some Chinese cities there is a rule that you can leave your car on the street, on any comer empty meter. Thus cars should be placed only in the direction of movement. If the driver is worried about the safety of the machine, you can search for paid parking. To park in any Chinese city there are special areas whose boundaries are marked by solid lines. Seat belt, and his example should be followed by all adults and children above 135 cm, over 12 years. For young passengers should be provided by a special device for a secure fit in the passenger seat. Dipped headlights should always be included. Be in comfortable shoes that promote safe driving. Wear flip-flops on foot is strictly prohibited. While driving on the road behind the wheel of a car the driver is forbidden to drink, eat, smoke. Observance of rules of conduct on the roads in China watched everywhere installed cameras. Workers control traffic on the track appear only in case of emergency, accident. In addition, the traffic police regulate traffic on the busy intersections. If the driver has violated a rule to move the car, just after 2-3 days after the incident on his mobile phone receives a text message. Also, notice of violation can overtake the car owner's home address. The penalty of any size can be paid online cash on delivery. If you are interested in information on the fines imposed, the driver can call a special phone, and then, given the number of cars, learn about themselves and the car all the information. Traffic police has not the right to stop drivers on the roads. Exceptions are special raids that take place in China from time to time. If an employee Road Control stopped the driver, who has the full right to fix the conversation on video as the evidentiary material. Court acts in violation of China's objective, based on the facts presented. After that decision is made, a penalty is issued, the amount of which depends on the nature of the crime, the size of the damage. I had to travel a lot to different cities of Macedonia on business. In order not to spend a lot of money on trips, I rented a car via this aggregator before the departure. The choice was made in a few minutes, I paid for a car via the site, and there was no problem with the car at the destination place. I recommend it to those who save time and money. The site is reliable, the sample is large even for captious people. We drove along the main routes of South Korea for business and information purposes. For greater comfort and freedom, we rented a car. The rental was issued and paid for via the website. At the destionation place about the agent gave us the car without many words. The resource operates very well. I had an excellent trip in Norway. I spent all the time driving along the road and stopping in different beautiful places. Car rental was cheap. I chose, booked and paid for a car via this site. No problems occured. I strongly recommend to use it.